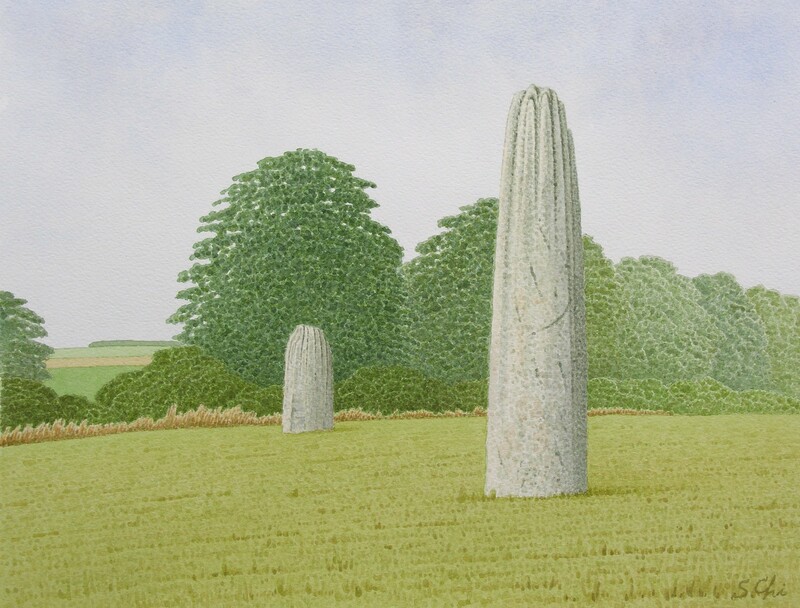 The Devil's Arrows, three impressive huge standing monoliths of the Bronze Age, lie about 4 miles to the east of Newby Hall, the outskirts of Boroughbridge. It is said the date of them goes back to 1500 BC and 2000 BC and they were stood for a religious ritual. But their precise purpose still remains a mystery. The diameter of each foot is probably from 5 to 7 feet, and the heights are 18 feet, 22 feet, and 22 feet and 6 inchews above ground. They are said to extend some 6 feet down. The weight of them is estimated 25 to 40 tons. The three standing stones lie on a north-south axis, beeing apart from each other from a couple of hundreds feet. A tale dating back to the end of the 16th century tells us this: once upon a time, as a devil named Old Nick had been made little of by the inhabitants of aldborough, he threw stones at the village from How Hill near Fountains Abbey to teach them a lesson. But the stones fell short of the village to land just outside of Boroughbridge. Another tale says that a devil in the guise of a Druid lost a debate with a Christian missionary and he vented his rage by shooting arrows, diabolic bolts, at the missionary. But they were intercepted by the mysterious power and fell to earth, turning into stones. Knowing it, the devil tied a rope on a groove of the top of the one stone and hanged himself. It is said that if people walk around the stones anti-clockwise 12 times, or 3 times at midnight, the devil will revive. But I was neveer brave enough to do so.